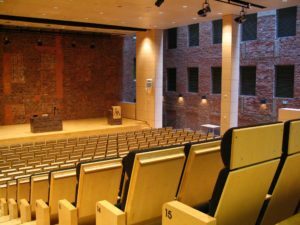 The conference is arranged at Campus Academill, Rantakatu 2 in Vaasa, Finland. It is possible to walk there from Vaasa Travel Centre (about 1.3 kms), where the buses and trains come in. 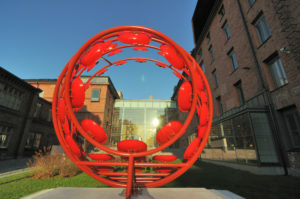 The hotels Astor, Scandic Vaasa and Original Sokos Hotel Royal are situated close to the Travel Centre. The distance between Vaasa Airport and Campus Academill is about 10 kilometres. Taxi is the recommended way of transport from the airport since there are no regular buses into the city. You can reach Vaasa by plane via Stockholm (Arlanda) or Helsinki. Accommodation can be reserved at a reduced price at the hotels listed below. Please note that the hotels have separate deadlines and booking codes for reservation! The rooms are to be paid directly to the hotel. Also possible invoicing should be arranged with the hotel in question. Price includes buffet breakfast and free WiFi. 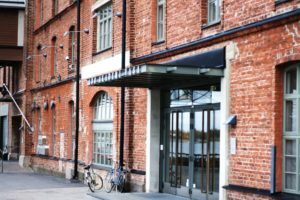 Hotel Astor is situated in the centre of Vaasa, opposite Vaasa Travel Centre. The distance from the hotel to the city square is about 300 metres, and about one kilometre to Åbo Akademi University Campus Academill. Vaasa Airport is situated about 10 kilometres from the city centre. Prices include buffet breakfast and access to guest sauna and pool. Original Sokos Hotel Royal Vaasa is situated in the centre of Vaasa, about 100 metres from Vaasa Travel Centre, and about one kilometre from Åbo Akademi University Campus Academill. Vaasa Airport is situated about 10 kilometres from the city centre. 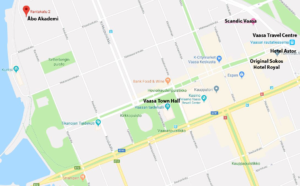 Scandic Vaasa is situated in the centre of Vaasa, about 100 metres from Vaasa Travel Centre, and about one kilometre from Åbo Akademi University Campus Academill. Vaasa Airport is situated about 10 kilometres from the city centre.